Friends, it is 2017. 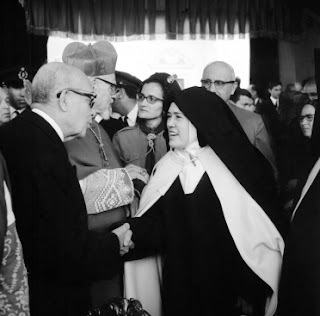 Either this has been one of the greatest frauds ever perpetrated on the Catholic Church or Sister Lucy did applaud and affirm the "Third Secret" as announced by the Vatican in June of 2000. We all know that it matters. Investigations cost money, however. An investigation of this sort, providing a definitive result, will cost up to $25,000. I don't know if such an amount can be raised or not. However, I have created a poll to find out if there is sufficient financial commitment for such a project. The poll is not a fund raiser; I am just testing interest in this project. Please answer the poll question which is on the sidebar of my website by clicking the triple bar near the RadTrad Thomist header. Scroll down past the Follow list and get to the poll. Please give a conservative estimate of your support, or indicate --- no hard feelings --- that the answer is No. I will make sure that every dime spent will ONLY go for this investigation. When and if we finally start raising money, neither myself or this blog will in any way profit financially from the money. The question is all! I am ready to go for this if you are! Re: Want to Solve in a Scientific Way the two Sister Lucys Question? Just going off of a couple photos won't be enough. The researchers would need access to dental records, and remains. Since it's possible that the original Sister Lucia passed away circa 1957 then two separate exhumations would need to take place. 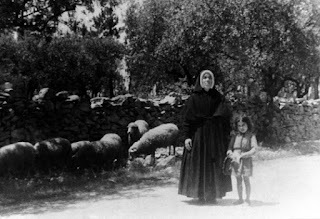 The remains of Sister Lucia's sister Jacinta are available for countercheck - maybe. This would require Novus Ordo permission and that's highly unlikely. Unless the first Sister Lucia underwent massive faciomaxio surgery, there's just no way these two Sister Lucia's" are the same person. Just having dentures doesn't change the lower facial structure so drastically. But even this view is from going off of photos and not actual x-rays. I hope the investigation does go on as planned. Maybe there really is only one Sister Lucia. I say this because the Novus Ordo so openly proclaims other religions, even those that deny Our Lord, as from God and the Novus Ordo is so brazen about everything else. Why would they need supreme clandestine activities for Sister Lucia? This topic needs its own subforum to keep all the scattered threads together.